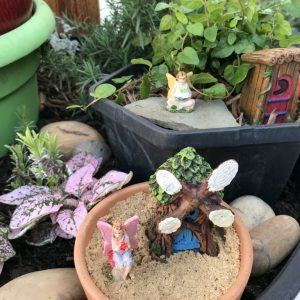 I love fairy gardens! 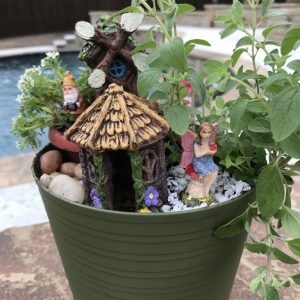 I have seen these gardens on pinterest for years and never got around to creating them until this year. 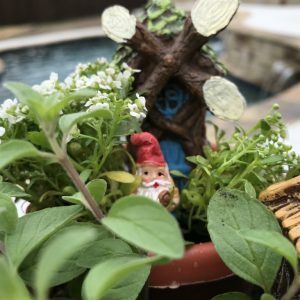 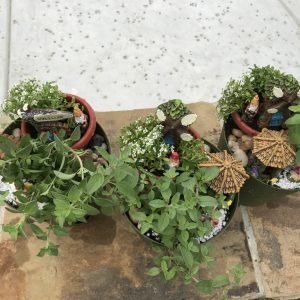 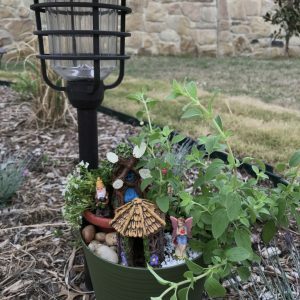 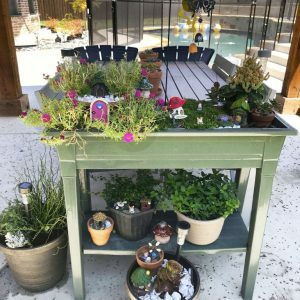 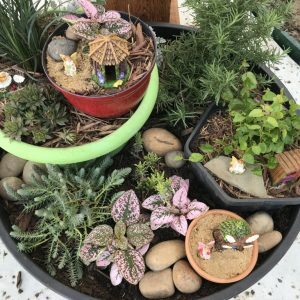 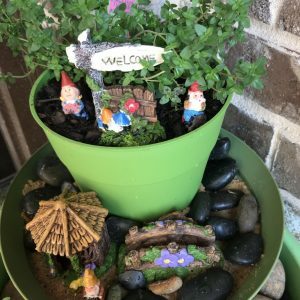 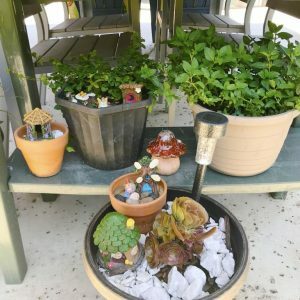 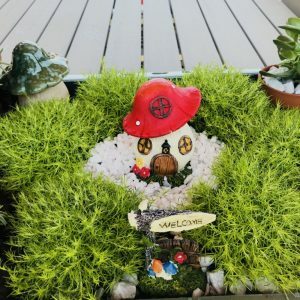 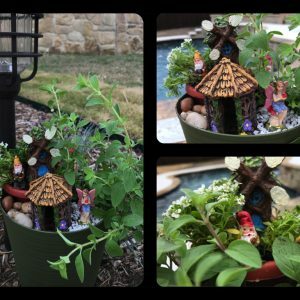 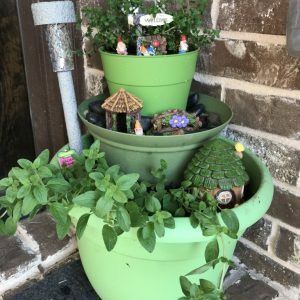 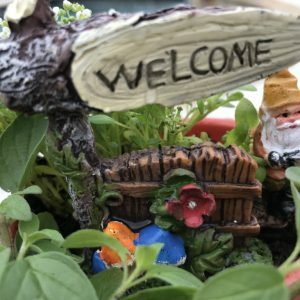 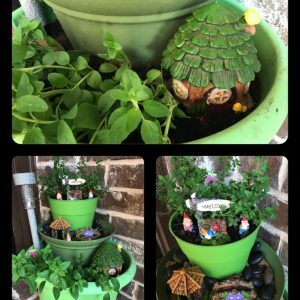 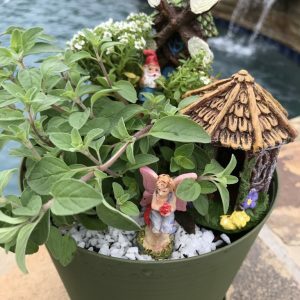 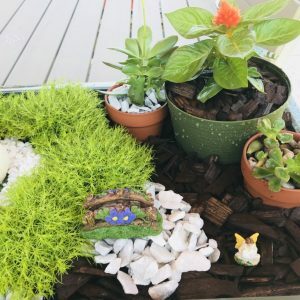 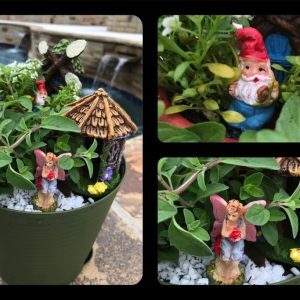 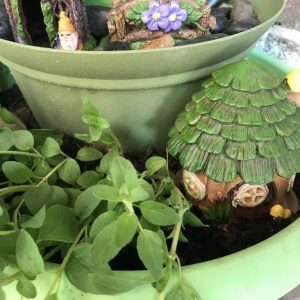 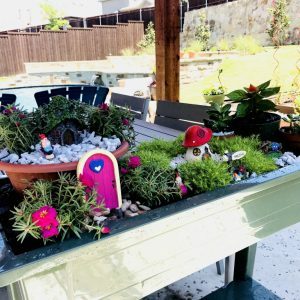 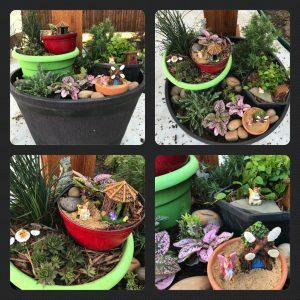 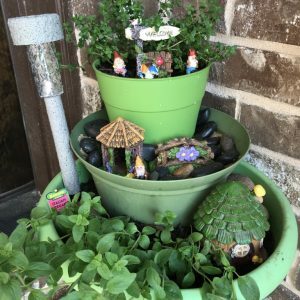 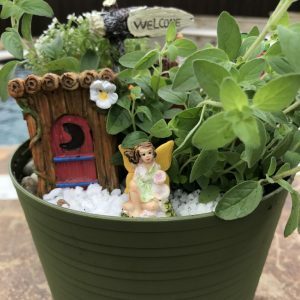 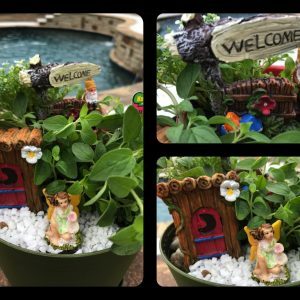 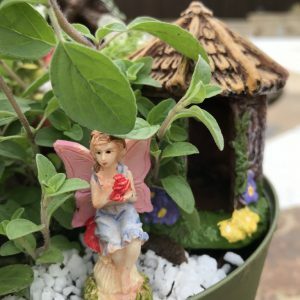 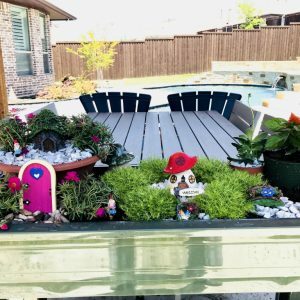 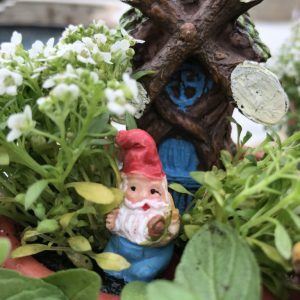 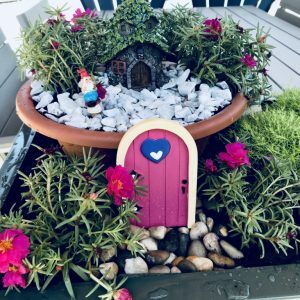 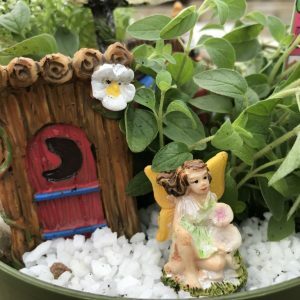 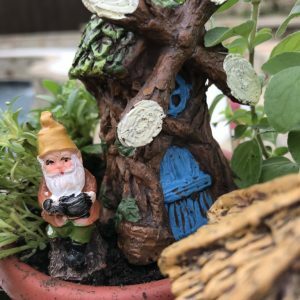 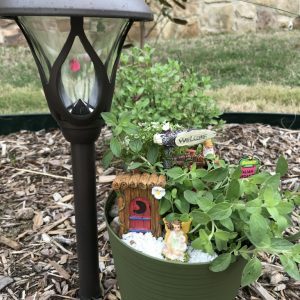 These fairy gardens were created using left over planters from the previous years, fairy figurines/pots/rocks/misc purchased from Dollar Tree and inexpensive herbs and plants from Walmart, Lowe’s and Home Depot. 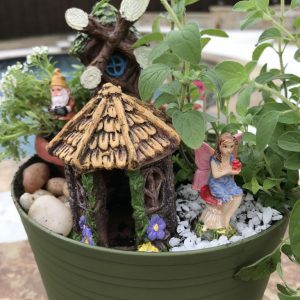 Due to the extremely hot Summer this year, half of the trees and plants within several of my fairy garden sadly died! 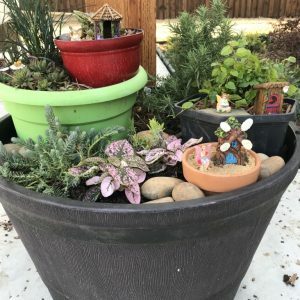 One of the biggest mistake was that I reused several of the potted container from last year and didn’t replaced at least half of the soil with new soil and fertilizer such as compost. 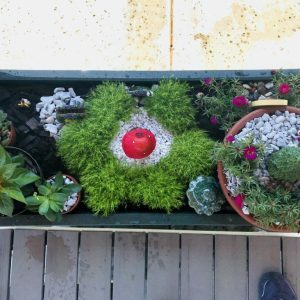 So the soil lost all it nutrients and became compacted at the bottom of the container killing the plant roots. 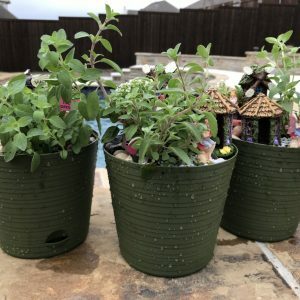 Lesson learned, always replenish previous used soil! 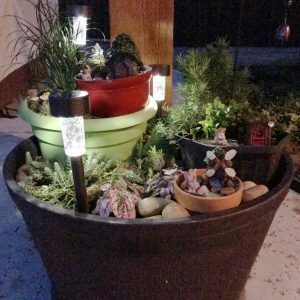 With that being said, I had to disassembled several of the pots and relocated them.